This tour of medium difficulty. Combine cycling with archaeology, panoramic medieval villages, sunshiny beaches and small mountain ranges. 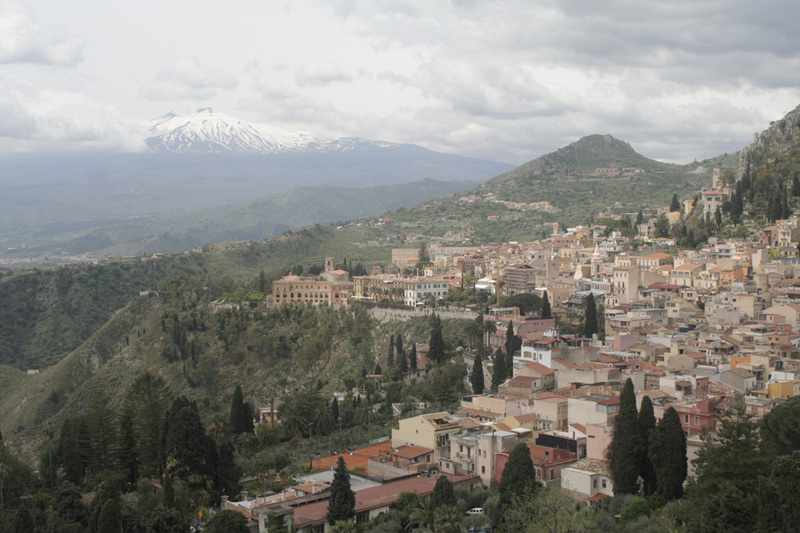 Visit Taormina, Randazzo, Acireale and the Mount Etna or Alcantra national park. 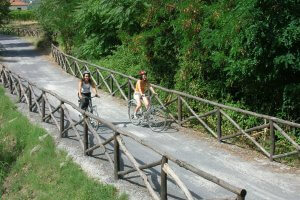 Self guided Cycling Trip mount Etna to Ionian Sea. From March until November. 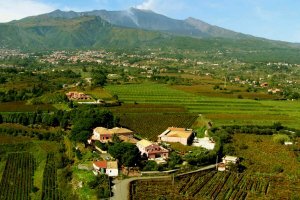 The history of Mount Etna is not only that of the most active volcano in Europe since 2011, but it’s also the history of Eastern Sicily itself. A bike ride through the Sicilian hinterland, in the shade of mighty Etna and among extraordinary national parks. It’s a fantastic journey because the shifts between history and mythology to the discovery of enchanting tiny villages and foregone flavours. 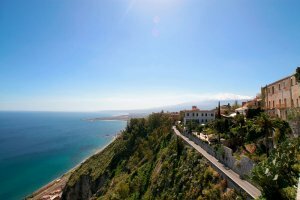 Immerse your Cycling Holiday in Europe and Cycle Sicily! 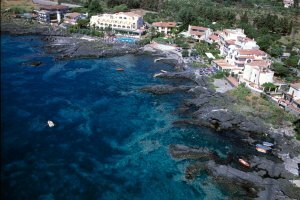 Check in around 14.00 at your hotel in Nicolosi. Introduction, bike fitting and description of the tour. After the briefing you can store your bikes or take a look at the bikes you may have rented. 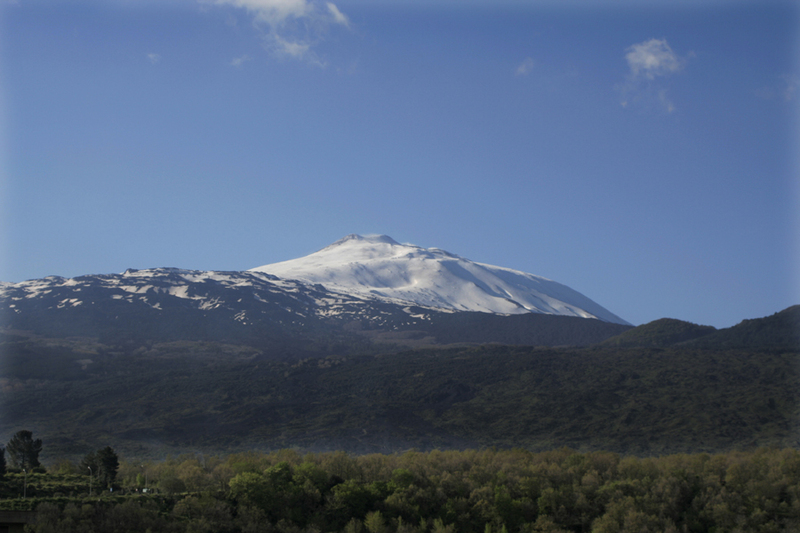 Using a public bus, you will reach Rifugio Sapienza (1900m), the starting point of your trip up the Mount Etna. 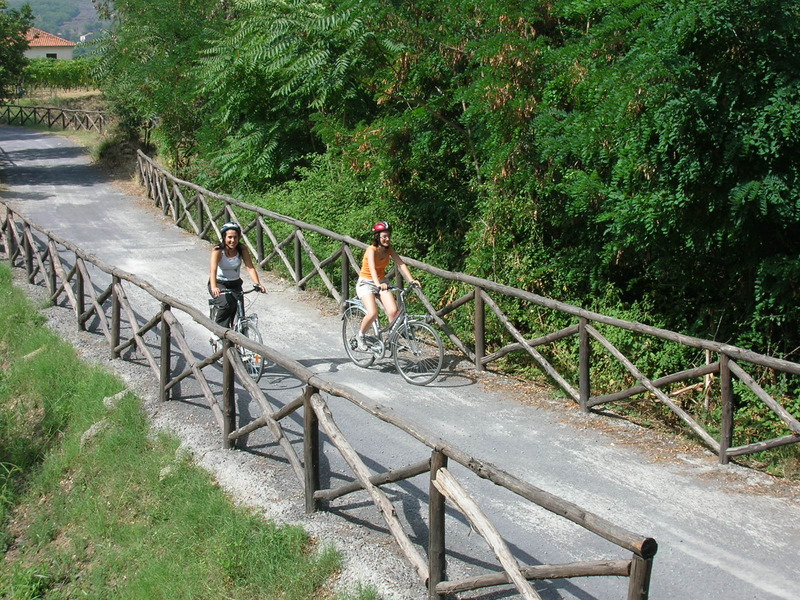 After your excursion you will ride down to Nicolosi along a scenic road which winds its way along 1200m of different levels. In case of adverse weather conditions, you can do an excursion to the old town of Catania by a public bus (20 km). Overnight in Nicolosi. 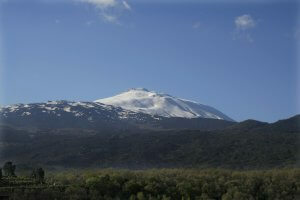 After leaving Nicolosi (''The door to Etna''). You will be riding mostly downhill along quite secondary roads until you reach Forre Laviche del Simeto nature reserve. Here you can see a very special kind of canyon carved by the Simeto river through an old lava flow. You can also see Ponte dei Saraceni, an old bridge dating back to the Roman era. Large pistachios groves preannounce the proximity to Bronte, a village at the foothills of the volcano, famous for its ‘green gold’. You will be staying at an old manor surrounded by pistachios groves. Overnight in Bronte. The pleasant town Bronte is famous for its warm-weather nut. Today is a very relaxing day with only 20 kilometres of pedalling. There are only a few uphill’s but the views are really spectacular! 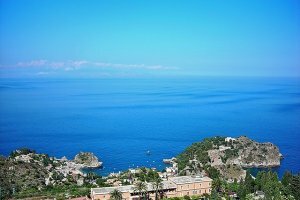 Visit Taormina : the pearl of Sicily. This town is famous for its art and culture. Don’t miss the Greek theatre and its main street with the churches of different epochs. 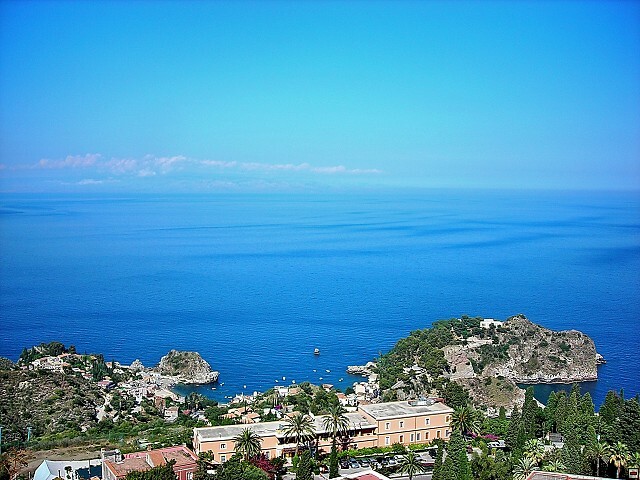 Feel the romantic atmosphere of Giardini Naxos and try an excellent glass of Sicilian wine in one of the many restaurants in this ancient little town. Overnight in Giardini Naxos. Day 7 is another easy leg, riding along lemon river near the Ionic coast of Sicily. 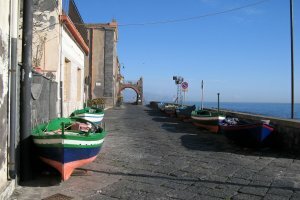 Today’s ride will lead you along a unique stretch of coastline named the Riviera dei Limoni for a very good reason, you will see some spectacular panoramas. 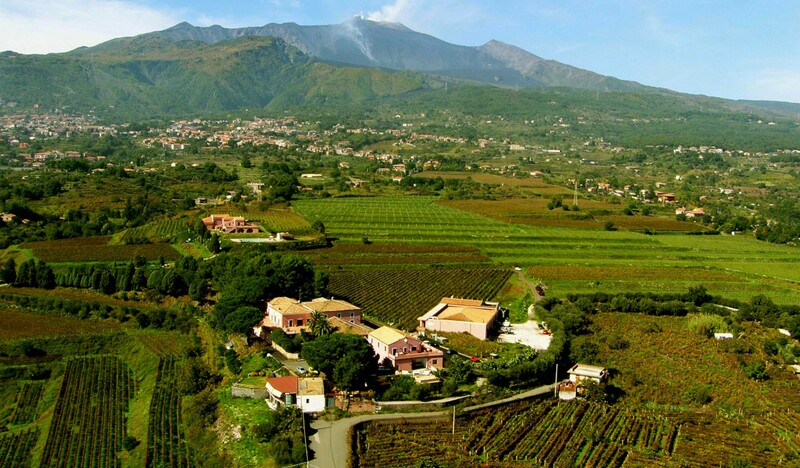 After your cycling trip it’s time to relax with a good glass of local Sicilian wine. 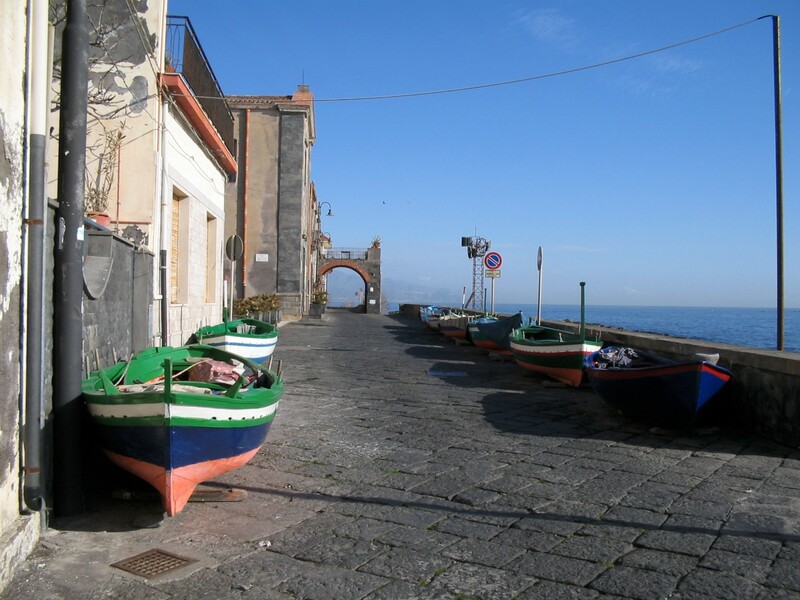 Wander around in Acitrezza a nice pleasant fishing village and a popular spot for Italian vacationers. Overnight in Acitrezza. Catania is the second largest city in Sicily and has the busiest airport on Sicily Island with over more than six million passengers a year. 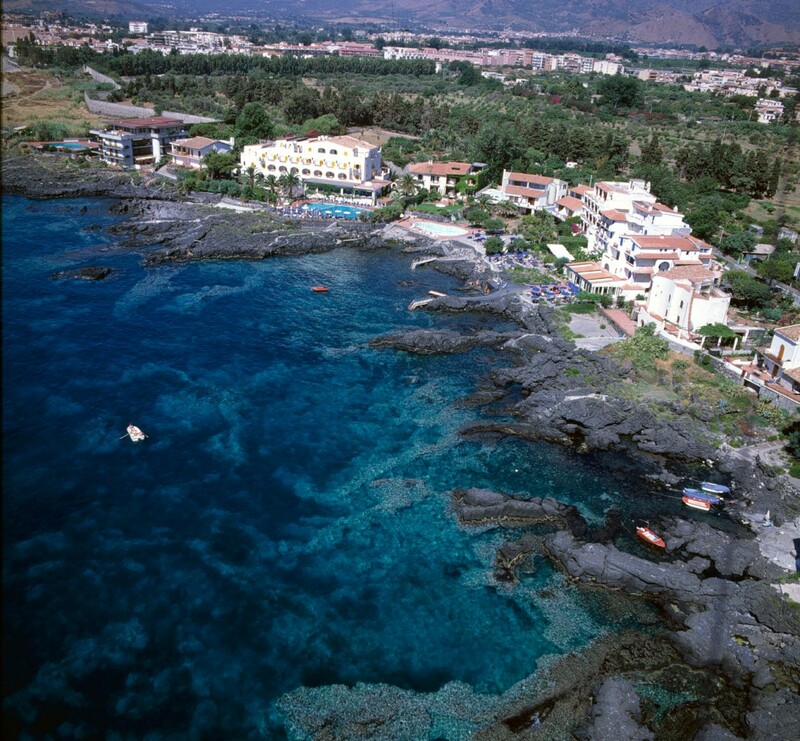 The airport is situated 7 kilometres southwest of Catania next to highway A-19. Every 20 minutes busses leaving to Catania centre. There are regular bus services to the resort towns nearby like Taormina & Giardini Naxos. The bus ride to Palermo takes 2 hours and 30 minutes. In Palermo is another important airport called "Falcone-Borsellino". The airport is 32 kilometres away to Palermo's city centre and can easily reached by highway A29. Buses leaving every half an hour to Palermo Central station or Piazza Castelnuevo. There are busses running frequently to Agrigento, Trapani, Catania or Syracusa. When the tour operator confirms to us. We confirm to you and charge you’re a deposit fee of € 350 per person plus a € 15 booking fee.